I have one dog with congestive heart failure, the others have problems too, but they pickup any bug/virus that is carried in, I put a tablespoon in their water daily and if they have caught something I give a half to one ml daily, they are all less than 10 pounds. 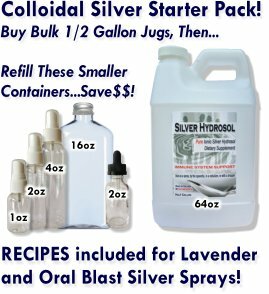 I thank you for marketing this Colloidal Silver for us all. Again thank you, you are a lifesaver in so many ways! I’m smiling, thank you! Ron "Andrew"